Canadian-focused gold and lithium explorer, Ardiden Limited (ASX:ADV), is pleased to announce the appointment of experienced exploration geologist and mining executive, Mr Rob Longley as Chief Executive Officer. Canadian-focused lithium and precious metals explorer Ardiden Limited (ASX:ADV), is pleased to advise that discussions with the Mishkeegogamang First Nation with regard to drilling operations at the Kasagaminnis Gold Prospect near Pickle Lake Ontario, Canada are proceeding positively. Ardiden Ltd (ASX:ADV) provides the Company&apos;s latest Investor Presentation. Your Directors present their report for Ardiden Limited (ASX:ADV) and controlled entity for the half-year ended 31 December 2018. Canadian-focused explorer and developer, Ardiden Limited (ASX:ADV), is pleased to announce the completion of phase one of its growth plan at the Seymour Lake Lithium Project, with a 400% increase in the project&apos;s defined Mineral Resource. Ardiden Ltd (ASX:ADV) provides the Company&apos;s Quarterly Activities Report. Canadian-focused lithium explorer and developer, Ardiden Limited (ASX:ADV) announces the resignation of Executive Director and Chief Executive Officer Brad Boyle effective immediately. Canadian-focused lithium explorer and developer, Ardiden Limited (ASX:ADV), is pleased to announce the next set of assay results from the Company&apos;s ongoing Resource expansion and exploration drill program at North Aubry. Ardiden Ltd (ASX:ADV) provides the Company&apos;s 2018 AGM Presentation. The past 12 months have been transformational for Ardiden (ASX:ADV) as we successfully advanced our flagship projects in North America. However, it has been an extremely challenging period for the lithium sector as global equity markets, wider macro issues, and a weaker local investment market have created a tough landscape for junior companies. Canadian-focused lithium explorer and developer, Ardiden Limited (ASX:ADV), is pleased to announce further high-grade lithium results from its highly-prospective North Aubry prospect, located within the Company&apos;s 100% owned flagship Seymour Lake Lithium Project in Ontario, Canada. 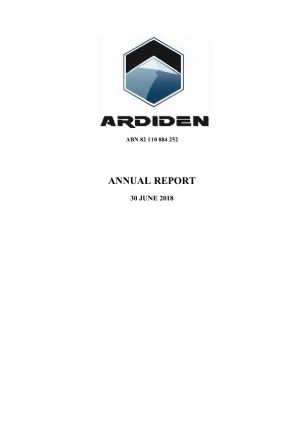 Ardiden Ltd (ASX:ADV) provides the Company&apos;s Annual Report for the year ended 30 June 2018. Minerals explorer Ardiden Limited (ASX:ADV) is pleased to announce assay results from the remaining 11 drill holes of its recent due-diligence drilling program at the Kasagiminnis Gold Property located within the Pickle Lake Gold Properties in the established mining jurisdiction of Ontario, Canada. Canadian-focused lithium explorer and developer, Ardiden Limited (ASX:ADV), is pleased to announce further drilling success at its highly-prospective North Aubry prospect. The first seven diamond drill-holes are now complete (drill holes ASD001 to ASD007), with all seven intersecting multiple pegmatites at various depths. Ardiden Limited (ASX:ADV) is pleased to announce the appointment of Pauline Gately as a Non-Executive Director. Minerals explorer Ardiden Limited (ASX:ADV) is pleased to advise that it has exercised the option to acquire 100% of the advanced Pickle Lake Gold Properties, adding an exciting gold exploration and development opportunity to the Company&apos;s lithium portfolio in the established mining jurisdiction of Ontario, Canada. Canadian focused explorer and developer Ardiden Limited (ASX:ADV) is pleased to announce the completion of the due diligence diamond drilling program at the Pickle Lake Gold Project in Ontario Canada. Canadian focused lithium explorer and developer Ardiden Limited (ASX:ADV) is pleased to announce early drilling success via the Resource expansion diamond drilling program at North Aubry, a highly-prospective lithium-bearing landholding at its 100% owned, flagship Seymour Lake Lithium Project in Ontario, Canada. Canadian focused explorer and developer Ardiden Limited (ASX:ADV) is pleased to announce the appointment of experienced exploration geologist and pegmatite expert Mr Peter Spitalny as a Non-Executive Director. 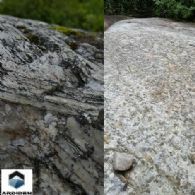 Canadian focused explorer and developer Ardiden Limited (ASX:ADV) is pleased to advise that the ongoing due diligence diamond drilling program is progressing extremely well with the latest four holes all successfully hitting the Iron Formation target zone at the highly-prospective Kasagiminnis Lake Property in Ontario, Canada. Canadian focused lithium explorer and developer Ardiden Limited (ASX:ADV) is pleased to announce that drilling and geological teams are on site at the North Aubry prospect, to recommence the 2018 resource expansion diamond drilling program at its 100% owned, flagship Seymour Lake Lithium Project in Ontario, Canada. Canadian focused explorer and developer Ardiden Limited (ASX:ADV) is pleased to advise the diamond drilling program is progressing quickly with due diligence drilling program successfully hitting the I.F. target zone in each of the seven drill holes at the highly-prospective Kasagiminnis Lake Property in Ontario, Canada. The Directors of Ardiden Limited (ASX:ADV) announce, they have recently resolved to appoint Nexia Perth Audit Services Pty Ltd to perform the audit function of the Company. The directors believe the Nexia audit model will be more suited to meet the current and emerging needs of the Company given Ardiden&apos;s expanded operations in Canada. Canadian focused explorer and developer Ardiden Limited (ASX:ADV) is pleased to advise the diamond drill rig and geological teams are on site to commence the due diligence diamond drilling program at the highly-prospective Kasagiminnis Lake Property in Ontario, Canada. Diversified minerals explorer and developer Ardiden Limited (ASX:ADV) is pleased to advise of early success as it commences a large-scale mapping and sampling program at the Company&apos;s 100%-owned, flagship Seymour Lake Lithium Project in Ontario, Canada. Diversified minerals explorer and developer Ardiden Limited (ASX:ADV) is pleased to advise that further detailed review of new satellite imagery covering the Company&apos;s 100%-owned, flagship Seymour Lake Lithium Project in Ontario, Canada has identified an additional 60 highly-prospective lithium-bearing targets, which have the potential to significantly increase the scale and value of the project. Ardiden Limited (ASX:ADV) is pleased to advise that recent diamond drilling has confirmed multiple high-grade zones of lithium mineralisation at the South Aubry prospect, part of its 100%-owned Seymour Lake Lithium Project in Ontario, Canada. Ardiden Ltd (ASX:ADV) provides the Company&apos;s Quarterly Activities Reports - March 2018. 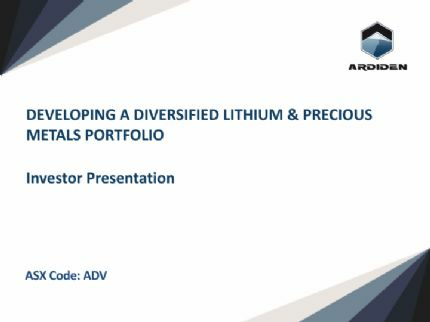 Diversified minerals explorer and developer Ardiden Limited (ASX:ADV) provides the opportunity to listen to an audio webcast with Brad Boyle, CEO and Executive Director in a presentation titled: "ARDIDEN LTD CORPORATE PRESENTATION". Ardiden Ltd (ASX:ADV) provides the Company&apos;s latest Presentation on Seymour Lake Lithium Project. Diversified minerals explorer and developer, Ardiden Limited (ASX:ADV) is pleased to advise that the Company is providing two shareholder briefing meetings to allow for a brief question and answer session in both Melbourne and Sydney. Diversified minerals explorer and developer Ardiden Limited (ASX:ADV) is pleased to advise that a detailed review of new satellite imagery covering the Company&apos;s 100%-owned, flagship Seymour Lake Lithium Project in Ontario, Canada has identified 100 new highly-prospective lithium-bearing targets, which have the potential to significantly increase the scale and value of the project. Diversified minerals explorer and developer Ardiden Limited (ASX:ADV) is pleased to advise that the ongoing resource expansion diamond drilling program at the Central and South Aubry prospects continues to demonstrate impressive resource expansion potential, with the first seven drill holes all intersecting spodumene-bearing mineralisation. Your Directors present their report for Ardiden Limited Ardiden Ltd (ASX:ADV) and controlled entity for the half-year ended 31 December 2017. Diversified minerals explorer and developer Ardiden Limited (ASX:ADV) provides the opportunity to listen to an audio webcast with Brad Boyle, CEO and Executive Director in a presentation titled: "Ardiden Company Update". Ardiden Ltd (ASX:ADV) provides the Company&apos;s latest Corporate Presentation. Ardiden Minerals Limited (ASX:ADV) is pleased to announce that it has entered into a binding agreement with Long State Investments Limited, to provide the Company a fully flexible funding facility for up to A$15 million, over the next two years. Canadian focused lithium explorer and developer Ardiden Limited (ASX:ADV) is pleased to advise the diamond drill rig and geological teams are on site at the South Aubry prospect to commence the 2018 resource expansion diamond drilling program at its 100% owned, flagship Seymour Lake Lithium Project in Ontario, Canada. Ardiden Limited (ASX:ADV) is pleased to advise that Ms Jessamyn Lyons has been appointed Company Secretary effective immediately. Ms Lyons replaces Mr Arron Canicais who has resigned from the role as Company Secretary. The Directors wish to thank Arron for his services and contribution to the Company. Ardiden Ltd (ASX:ADV) provides the Company&apos;s latest Presentation. Lithium developer Ardiden Limited (ASX:ADV) has produced battery-grade lithium carbonate from preliminary metallurgical test work using concentrate sourced from its 100%-owned advanced Seymour Lake Lithium Project in Ontario, Canada. Canadian-focussed explorer Ardiden Limited (ASX:ADV) is pleased to advise that settlement has occurred and all funds received from the recently-completed A$2.25 million share placement. Diversified minerals explorer and developer Ardiden Limited (ASX:ADV) is pleased to advise that it has completed a A$2.25 million share placement to sophisticated and institutional investors in Australia and internationally to fund ongoing resource drilling and exploration programs at its flagship Seymour Lake Lithium Project and due diligence exploration drilling program at the Pickle Lake Gold Project. Diversified minerals explorer and developer Ardiden Limited (ASX:ADV) is pleased to advise that its 2018 exploration drilling program is set to commence within 2 weeks, at its 100%-owned Seymour Lake Lithium Project in Ontario, Canada. Ardiden Limited (ASX:ADV) is pleased to advise that recent diamond drilling has confirmed further high-grade extensions of the spodumene mineralisation down-plunge to the north of the recently announced Phase 1 Mineral Resource at the North Aubry Lithium Deposit, part of its 100%-owned Seymour Lake Lithium Project in Ontario, Canada. Diversified minerals explorer and developer Ardiden Limited (ASX:ADV) is pleased to announce that it has completed the successful acquisition of 100% of the early stage Bold Property Colbalt-Copper Project in Ontario, Canada with a final payment of 100,000 Ardiden shares made to the vendor, Benton Resources Inc.
Ardiden Limited (ASX:ADV) is pleased to advise that it has strategically increased the project footprint and the development potential of its Seymour Lake Lithium Project in Ontario, Canada, part of its 100%-owned Seymour Lake Lithium Project in Ontario, Canada. Ardiden Limited (ASX:ADV) is pleased to advise that recently completed preliminary diamond drilling program has confirmed the presence of high-grade spodumene mineralisation at or close to surface at the South Aubry prospect, part of its 100%-owned Seymour Lake Lithium Project in Ontario, Canada. Diversified minerals explorer and developer Ardiden Limited (ASX:ADV) is pleased to advise that ongoing resource expansion diamond drilling program at the North Aubry prospect, part of its 100%-owned Seymour Lake Lithium Project in Ontario, Canada continues to demonstrate the potential to expand the deposit down-plunge to the north. 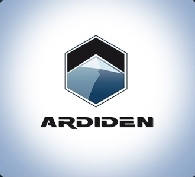 Ardiden Ltd (ASX:ADV) provides the Company&apos;s AGM Chairman Address and Corporate Presentation. Diversified minerals explorer and developer Ardiden Limited (ASX:ADV) is pleased to advise that its strategy to fast-track the development of its 100%-owned Seymour Lake Lithium Project in Ontario, Canada has received a significant boost with its key strategic partner and local stakeholders expressing their strong support for the project. Diversified minerals explorer and developer Ardiden Limited (ASX:ADV) is pleased to advise that it has completed a A$1.25 million share placement to sophisticated and institutional investors in Australia and internationally to fund ongoing resource drilling and exploration programs at its flagship Seymour Lake Lithium Project in Ontario Canada. Diversified minerals explorer and developer Ardiden Limited (ASX:ADV) is pleased to provide a further update on the comprehensive metallurgical testwork program being completed by the Company&apos;s strategic partner, Yantai Jinyuan Mining Machinery Co., Ltd, on the bulk sample obtained from the North Aubry Lithium Deposit at its 100%-owned Seymour Lake Lithium Project in Ontario, Canada. Ardiden Ltd (ASX:ADV) provides the Company&apos;s latest Corporate Presentation for Seymour Lake lithium project. Diversified minerals explorer and developer Ardiden Limited (ASX:ADV) is pleased to advise that initial resource expansion diamond drilling program at the South Aubry prospect, part of its 100%-owned Seymour Lake Lithium Project in Ontario, Canada has intersected multiple spodumene-bearing pegmatites at or close to surface. Diversified minerals explorer and developer Ardiden Limited (ASX:ADV) provides the opportunity to listen to an audio webcast with Brad Boyle, CEO and Executive Director in a presentation titled "Ardiden&apos;s Shares Surge After High-Grade Lithium Hits in Canada". Ardiden Limited (ASX:ADV) is pleased to advise that recent diamond drilling has confirmed high-grade extensions of the spodumene mineralisation down-plunge to the north of the recently announced Phase 1 Mineral Resource at the North Aubry Lithium Deposit, part of its 100%-owned Seymour Lake Lithium Project in Ontario, Canada. Diversified minerals explorer and developer, Ardiden Limited (ASX:ADV) is pleased to advise that the Company is providing shareholders a forum for a brief question and answer session in Melbourne. Ardiden Ltd (ASX:ADV) provides the Company&apos;s Quarterly Activities Report for the period ending 30th September, 2017. Diversified minerals explorer and developer Ardiden Limited (ASX:ADV) provides the opportunity to listen to an audio webcast with Brad Boyle, CEO and Executive Director in a presentation titled: "Maiden JORC Resource Completed for Seymour Lake Lithium Project, Canada". Diversified minerals explorer and developer Ardiden Limited (ASX:ADV) is pleased to announce a maiden JORC 2012 Mineral Resource estimate for the North Aubry lithium deposit, part of its 100%-owned Seymour Lake Lithium Project in Ontario, Canada. Diversified minerals explorer and developer Ardiden Limited (ASX:ADV) is pleased to confirm that the Seymour Lake bulk sample obtained from the North Aubry prospect at its 100%-owned Seymour Lake Lithium Project in Ontario, Canada, was received in late September by the Company&apos;s strategic partner, Yantai Jinyuan Mining Machinery Co., Ltd ("Yantai"). Ardiden Ltd&apos;s (ASX:ADV) focus is on developing a near-term production opportunity at the Seymour Lake Project based on the advanced North Aubry and South Aubry prospects. Lithium and graphite explorer Ardiden Limited (ASX:ADV) is pleased to provide an update on drilling and pre-development activities at its 100%-owned Seymour Lake Lithium Project in Ontario, Canada. Diversified minerals explorer and developer Ardiden Limited (ASX:ADV) is pleased to advise that it has received further highly encouraging metallurgical testwork results from Independent Metallurgical Operations, based in Perth, Western Australia, for a composite bulk sample obtained from the North Aubry prospect at its 100%-owned Seymour Lake Lithium Project in Ontario. Diversified minerals explorer and developer Ardiden Limited (ASX:ADV) provides the opportunity to listen to an audio webcast with Brad Boyle, CEO and Executive Director in a presentation titled "RESPONSE TO GENERAL SHAREHOLDER ENQUIRIES FOLLOWING ROADSHOW". Diversified minerals explorer and developer Ardiden Limited (ASX:ADV) is pleased to advise that it has received further highly encouraging assay results from a further 14 diamond drill holes completed as part of the ongoing Phase 2 resource delineation diamond drilling program at its 100%-owned Seymour Lake Lithium Project in Ontario, Canada. Lithium and graphite explorer Ardiden Limited (ASX:ADV) advises that, due to circumstances beyond the Company&apos;s control, it has deferred the planned initial reconnaissance diamond drilling program at the Wisa Lake Lithium Project (under option) in Ontario, Canada. Ardiden Ltd (ASX:ADV) provides the Company&apos;s latest Corporate Presentation titled &apos;Rapidly Moving from Explorer to Developer&apos;. Diversified minerals explorer and developer Ardiden Limited (ASX:ADV) is pleased to advise that it has secured an Option Agreement over the advanced Pickle Lake Gold Properties, adding an exciting new gold exploration opportunity to the Company&apos;s diverse project portfolio in the established mining jurisdiction of Ontario, Canada. Ardiden Ltd (ASX:ADV) provides the Company&apos;s Quarterly Activities Report for the period ending 30 June, 2017. Lithium and graphite explorer Ardiden Limited (ASX:ADV) is pleased to advise that an initial six-hole reconnaissance diamond drilling program is set to commence next week the Wisa Lake Lithium Project (under option) in Ontario, Canada. Diversified minerals explorer and developer Ardiden Limited (ASX:ADV) is pleased to confirm that a bulk sample of approximately three tonnes has been obtained from the North Aubry prospect at the 100% owned Seymour Lake Lithium Project in Ontario, Canada. Diversified minerals explorer and developer Ardiden Limited (ASX:ADV) provides the opportunity to listen to an audio webcast with Brad Boyle, CEO and Executive Director in a presentation titled "ARDIDEN ACQUIRES 100% OF SEYMOUR LAKE LITHIUM PROJECT". Diversified minerals explorer and developer Ardiden Limited (ASX:ADV) is pleased to announce that it has completed the successful acquisition of 100% of the Seymour Lake Lithium Project in Ontario, Canada with the final instalment payments of cash and shares being made to Stockport Exploration Inc (TSE:SPT), as per the Option Agreement announced by Ardiden on 6 January 2016. Diversified minerals explorer and developer Ardiden Limited (ASX:ADV) is pleased to advise that it continues to make excellent progress with the ongoing Phase 2 resource delineation diamond drilling program at its Seymour Lake Lithium Project in Ontario, Canada, with the latest drill-holes intersecting multiple spodumene-bearing pegmatites. Diversified minerals explorer and developer, Ardiden Limited (ASX:ADV) is pleased to advise that the Company is providing two shareholder update meetings in Melbourne and Sydney. Diversified minerals explorer and developer, Ardiden Limited (ASX:ADV) is pleased to advise that the Share Purchase Plan offered to existing shareholders closed on 7th July 2017. Diversified minerals explorer and developer Ardiden Limited (ASX:ADV) is pleased to advise that it continues to make good progress with the ongoing Phase 2 resource delineation diamond drilling program at its Seymour Lake Lithium Project in Ontario, Canada, with the latest drill-holes intersecting multiple spodumene-bearing pegmatites. Diversified minerals explorer and developer Ardiden Limited (ASX:ADV) is pleased to advise that it has executed a Memorandum of Understanding with the Whitesand First Nation in relation to its majority-owned Seymour Lake Lithium Project in Ontario, Canada. Diversified minerals explorer and developer Ardiden Limited (ASX:ADV) is pleased to advise that it has established a pathway for the potential near-term development and commercialisation of its majority-owned Seymour Lake Lithium Project in Ontario, Canada. As a result of a number of shareholders advising Ardiden Ltd (ASX:ADV) that they had not received their Share Purchase Plan documentation, Ardiden decided to engage the services of GPS, to proactively contact shareholders and ensure that they had received their SPP offer documentation in time to meet the SPP deadline. The response to the SPP has been very positive to date. Diversified minerals explorer and developer Ardiden Limited (ASX:ADV) is pleased to advise that it has received further highly encouraging metallurgical testwork results from Independent Metallurgical Operations, based in Perth, Western Australia, for a composite bulk sample obtained from the North Aubry prospect at its majority-owned Seymour Lake Lithium Project in Ontario. Diversified minerals explorer and developer, Ardiden Limited (ASX:ADV) advises that it has extended the closing date of the Share Purchase Plan ("SPP") beyond the end of the financial year to 5.00pm on Friday, 7 July 2017. The extension follows requests from some shareholders for additional time to return their applications. On 5 June 2017, Ardiden Limited announced its intention to offer shareholders the chance to participate in a share purchase plan to subscribe for additional shares in the Company (Plan). 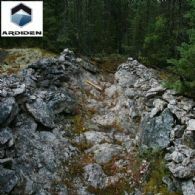 Ardiden Ltd (ASX:ADV) is pleased to announce a Share Purchase Plan, providing existing shareholders with an opportunity to increase their holdings in the Company as it advances the development of the Seymour Lake Lithium Project, the assessment of the Wisa Lake Lithium Project and Bold Properties Cobalt, Copper and Nickel Project, which are all located in Ontario, Canada. Diversified minerals explorer and developer, Ardiden Limited (ASX:ADV) is pleased to announce that it has raised A$600,000 through a share placement to key sophisticated investors in Australia, with strong support received from existing major shareholders. Diversified minerals explorer and developer Ardiden Limited (ASX:ADV) is pleased to advise that it has received encouraging assay results from the next two diamond drill holes completed as part of the ongoing Phase 2 resource delineation diamond drilling program at its majority-owned Seymour Lake Lithium Project in Ontario. Ardiden Ltd (ASX:ADV) is pleased to provide the Company&apos;s latest Corporate Presentation. 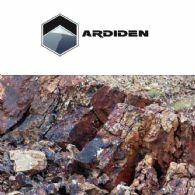 Ardiden Limited (ASX:ADV) is pleased to advise that it is preparing to commence the initial due diligence phase of field mapping and sampling at the prospective early-stage Bold Properties Cobalt-Copper-Nickel Project, which it secured recently under option in the established mining jurisdiction of Ontario, Canada. Diversified minerals explorer and developer Ardiden Limited (ASX:ADV) is pleased to advise that it continues to make excellent progress with the ongoing Phase 2 resource delineation diamond drilling program at its Seymour Lake Lithium Project in Ontario, Canada, with the latest drill-holes intersecting multiple thick spodumene-bearing pegmatites from close to surface. Ardiden Ltd (ASX:ADV) is pleased to advise that it has received highly encouraging initial assay results from the first four diamond drill holes of the ongoing Phase 2 resource delineation diamond drilling program at the majority-owned Seymour Lake Lithium Project in Ontario. 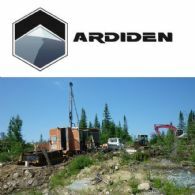 Ardiden Ltd (ASX:ADV) is pleased to advise that it continues to make excellent progress with the ongoing Phase 2 resource delineation diamond drilling program at its Seymour Lake Lithium Project in Ontario, Canada, with the latest drill-holes intersecting multiple spodumene-bearing pegmatites from close to surface. Diversified minerals explorer and developer, Ardiden Limited (ASX:ADV) is pleased to advise that it has received further encouraging testwork results from Independent Metallurgical Operations, based in Perth, Western Australia, for ore samples from its majority-owned Seymour Lake Lithium Project in Ontario. Diversified minerals explorer and developer Ardiden Ltd (ASX:ADV) (Ardiden or Company) is pleased to announce key board and management appointments as it continues to ramp-up the exploration, development and growth of its minerals portfolio in Canada. Further to its ASX announcement of 31 March, diversified minerals explorer and developer Ardiden Limited (ASX:ADV) is pleased to advise the Phase 2 resource delineation diamond drilling program at its Seymour Lake Lithium Project in Ontario, Canada with the first diamond hole intersecting spodumene-bearing pegmatite. Diversified minerals explorer and developer Ardiden Limited (ASX:ADV) is pleased to advise that its Phase 2 resource drilling program is set to commence next week at its the majority-owned Seymour Lake Lithium Project in Ontario. Diversified minerals explorer and developer Ardiden Limited (ASX:ADV) is pleased to advise that it has further expanded its portfolio of emerging mineral projects in the established mining jurisdiction of Ontario, Canada after securing an option to acquire a prospective early-stage cobalt-copper-nickel project. Diversified minerals explorer and developer, Ardiden Limited (ASX:ADV) is pleased to advise that it has received initial assay results from the first 14 drill holes from the completed diamond drilling program at the Silver Star North prospect, part of its 100%-owned Manitouwadge Graphite Project in Ontario, Canada. 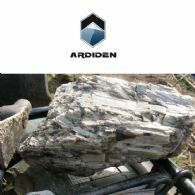 Ardiden Ltd (ASX:ADV) is pleased to advise that it has received highly encouraging preliminary testwork results from Independent Metallurgical Operations, based in Perth, Western Australia for ore samples from its the majority-owned Seymour Lake Lithium Project in Ontario. 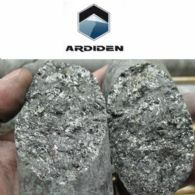 Ardiden Ltd (ASX:ADV) is pleased to advise that due to the success of the Phase 1 resource delineation diamond drilling program at its 100%-owned Manitouwadge Graphite Project in Ontario, it has decided to significantly expand the program to the east to confirm the grade and continuity of newly discovered graphite zones. Ardiden Ltd (ASX:ADV) is pleased to advise that it has received final assay results from the outstanding 13 drill holes completed as part of its recently completed Phase 1 resource delineation diamond drilling program at the majority-owned Seymour Lake Lithium Project in Ontario. 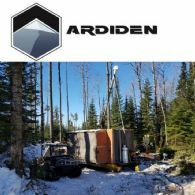 Ardiden Ltd (ASX:ADV) is pleased to advise that the resource delineation diamond drilling program currently underway at its 100%-owned Manitouwadge Graphite Project in Ontario is continuing to make excellent progress, with several graphitic mineralisation zones being logged in the drill holes completed to date. 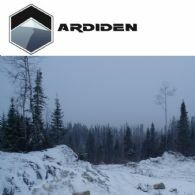 Ardiden Ltd (ASX:ADV) is pleased to advise that its maiden resource delineation diamond drilling program re-commenced shortly after the new year at its 100%-owned Manitouwadge Graphite Project in Ontario, with the initial holes intersecting a number of visible high quality graphitic mineralisation zones. 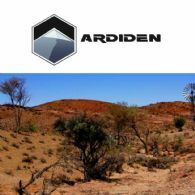 Ardiden Ltd (ASX:ADV) are pleased to provide the Company&apos;s quarterly activities report for the period ending 31 December 2016. 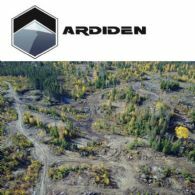 Ardiden Limited (ASX:ADV) advises it has further expanded its lithium portfolio in the established mining jurisdiction of Ontario, Canada after securing an option to acquire a fourth advanced lithium project with extensive spodumene (lithium ore)-bearing pegmatites, over 1,700m of historical diamond drilling and a known lithium deposit. Lithium and graphite explorer Ardiden Limited (ASX:ADV) is pleased to advise that its maiden resource delineation diamond drilling program is about to commence at its 100%-owned Manitouwadge Graphite Project in Ontario. Ardiden Limited (ASX:ADV) advises that it has received outstanding initial assay results from the recently completed maiden resource delineation diamond drilling program at its majority owned Seymour Lake Lithium Project in Ontario, confirming the potential of the project and putting it on track to complete a maiden Mineral Resource estimate early next year. 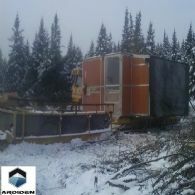 Ardiden Ltd (ASX:ADV) is pleased to advise that further substantial zones of spodumene-bearing pegmatite have been intersected at its majority owned Seymour Lake Lithium Project in Ontario, Canada as the resource drilling program wraps up and the rig moves on to begin drilling at the nearby Manitouwadge Graphite Project. Ardiden Ltd (ASX:ADV) provides the opportunity to listen to an audio webcast with Brad Boyle, Executive Director in a presentation titled: "DRILLING CONTINUES TO EXPAND SPODUMENE-BEARING ZONES AT SEYMOUR LAKE LITHIUM PROJECT, CANADA". Ardiden Ltd (ASX:ADV) is pleased to provide an update on the resource delineation diamond drilling program currently underway at its majority owned Seymour Lake Lithium Project in Ontario, Canada. Ardiden is continuing to make excellent progress, with new zones of spodumene-bearing pegmatite being logged in three new drill-holes completed since the last update on 14 November. 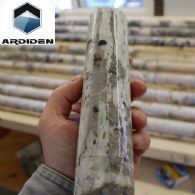 Ardiden Ltd (ASX:ADV) is pleased to advise that it has made a strong start to the resource delineation diamond drilling program currently underway at its 100%-owned Seymour Lake Lithium Project in Ontario with numerous zones of spodumene-bearing pegmatite logged in all 15 drill holes completed to date. 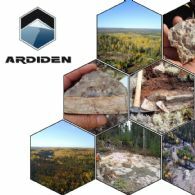 Ardiden Ltd (ASX:ADV) is pleased to provide the company&apos;s Quarterly Activities Report indicating successful exploration programs at key Canadian lithium and graphite projects lay foundations for commencement of pivotal resource drilling programs in December quarter. Ardiden Ltd (ASX:ADV) is pleased to advise that its resource delineation diamond drilling program is now underway at the Seymour Lake Lithium Project in Ontario. 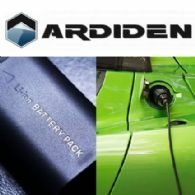 Ardiden Ltd (ASX:ADV) is pleased to advise that it is about to embark on a key phase of resource delineation drilling at its flagship lithium and graphite projects in Ontario, Canada following successful field exploration programs conducted over recent months. 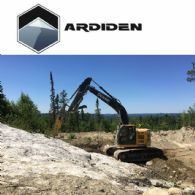 Ardiden Ltd (ASX:ADV) (ASX:ADV) is pleased to provide an update on recently completed exploration, mapping and sampling programs at the Seymour Lake and Root Lake lithium projects and the Manitouwadge graphite project, all of which are located in Ontario, Canada. Your Directors present their report for Ardiden Ltd (ASX:ADV) (the &apos;Company&apos;) and its controlled entities (&apos;Consolidated Entity&apos; or &apos;Group&apos;) for the financial year ended 30 June 2016. 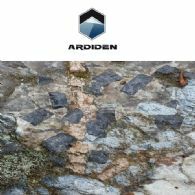 Ardiden Limited (ASX:ADV) is pleased to advise that it has significantly increased the project footprint and the exploration potential of its Seymour Lake Lithium Project in Ontario, Canada, following the discovery of numerous new pegmatite exposures during the current mapping and sampling campaign. 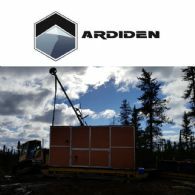 Ardiden Limited (ASX:ADV) is pleased to advise that the next phase of exploration has commenced at its 100% owned Manitouwadge Flake Graphite Project in Ontario, Canada with its exploration team currently on the ground at the Silver Star North prospect conducting structural interpretation and mapping programs. 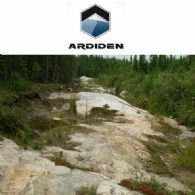 Ardiden Limited (ASX:ADV) is pleased to advise that it has received highly promising results from its maiden exploration and sampling program at the 100% owned Root Bay Lithium Project in Ontario, Canada, which was recently staked by Ardiden and received approval by the Ontario Ministry of Northern Development and Mines ("MNDM") in July 2016. Lithium and graphite explorer Ardiden Limited (ASX:ADV) is pleased to advise that it has significantly expanded the exploration potential of its recently acquired Seymour Lake Lithium Project in Ontario, Canada, following the discovery of multiple new pegmatite exposures during recent mapping and sampling programs. 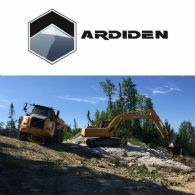 The June 2016 Quarter was another active and highly productive period for Ardiden (ASX: ADV), with the Company undertaking significant exploration and development activities across its growing portfolio of strategic and energy metal-related commodity projects in the leading mining jurisdiction of Ontario, Canada. Further to the Company&apos;s announcement on 11 July 2016, Ardiden Limited (ASX:ADV) is pleased to advise that the Company has successfully acquired the Root Lake Lithium Project from Landore Resources Canada Inc.
Further to its announcement of 19 July, Ardiden Limited (ASX:ADV) is pleased to advise that the next phase of exploration has now also commenced at its newly acquired Root Lake Lithium Project in Ontario, Canada with the exploration team currently on the ground conducting mapping and sampling programs. Ardiden Limited (ASX:ADV) is pleased to advise that the next phase of exploration has commenced at its newly acquired Seymour Lake Lithium Project in Ontario, Canada with its exploration team currently on the ground conducting mapping and sampling programs. Lithium and graphite explorer Ardiden Limited (ASX:ADV) is pleased to advise that it has further expanded its lithium portfolio in Canada after staking and securing the grant of the Root Bay Lithium Project in Ontario, Canada, located immediately adjacent to its recently acquired Root Lake Project. 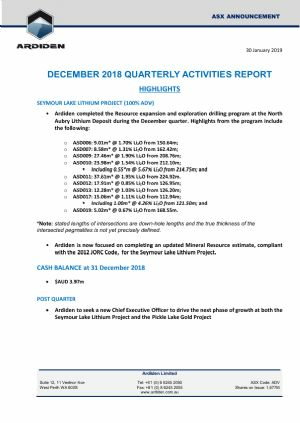 Lithium and graphite explorer Ardiden Limited (ASX:ADV) is pleased to advise that it has now formally exercised its option to acquire 100% of the advanced Root Lake Lithium Project in Ontario, Canada following the completion of a due diligence review of the project, including a highly successful maiden drilling program. Lithium and graphite explorer Ardiden Limited (ASX:ADV) is pleased to advise that it has appointed highly experienced international mining executive Dr Michelle Li as a non-executive Technical Director. Ardiden Limited (ASX:ADV) is pleased to advise that it has received highly encouraging initial assay results from the recently completed due diligence diamond drilling program at the Root Lake Lithium Project in Ontario, Canada (under option). 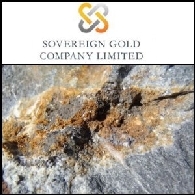 Sovereign Gold Company Limited (ASX:SOC) has secured an exclusive option to acquire 100% of 28 unpatented mining claims (317 Claim Units) (Sovereign Claims) within the Crescent Lake Lithium Prospects in Ontario, Canada. Further to the Company&apos;s announcement of 9 June 2016, Ardiden Limited (ASX:ADV) is pleased to advise that the oversubscribed capital raising has been successful completed. Ardiden Ltd (ASX:ADV) are pleased to provide the Company&apos;s Corporate Presentation for the Resources Rising Stars Conference May 2016, titled, "A Two-Pronged Strategy for Growth in Energy Metals." Ardiden Limited (ASX:ADV) is pleased to advise that it has intersected thick zones of near-surface pegmatite mineralisation in its maiden diamond drilling program which was completed recently at the McCombe pegmatite on the Root Lake Lithium Project in Ontario, Canada. Ardiden Limited (ASX:ADV) is pleased to provide an update on the due diligence review of the Seymour Lake Lithium Project in Ontario, Canada following the recent completion of its highly successful maiden drilling program. Ardiden Limited (ASX:ADV) is pleased to advise that its maiden diamond drilling program is now underway at the Root Lake Lithium Project in Ontario. The Company has successfully established the necessary access roads and drill pads at site with the limited initial diamond drill program swiftly commencing. Ardiden Limited (ASX:ADV) is pleased to advise that it has received further outstanding assay results from the recently completed maiden drilling program at the Seymour Lake Lithium Project in Ontario, Canada (under option). Ardiden Ltd (ASX:ADV) are pleased to provide the Company&apos;s Quarterly Activities Report for March 2016. 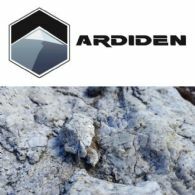 Ardiden Limited (ASX:ADV) is pleased to advise that its maiden diamond drilling program at the recently secured Root Lake Lithium Project in Ontario, Canada is set to commence shortly following receipt of all the required drilling approvals and selection of a local drilling contractor. Ardiden Limited (ASX:ADV) is pleased to advise that it has received outstanding initial results from the recently completed maiden drilling program at the Seymour Lake Lithium Project in Ontario, Canada (under option). 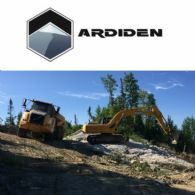 Ardiden Limited (ASX:ADV) is pleased to advise that it has entered into an option agreement to acquire 100% of the advanced Seymour Lake Lithium Project in Ontario, Canada, providing it with a highly complementary growth opportunity in one of the world&apos;s fastest growing commodity sectors.